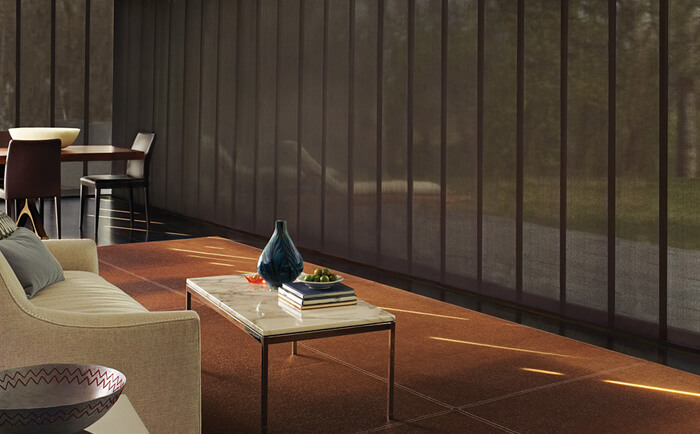 With clean lines and a sleek contemporary look, Skyline® Gliding Window Panels offer the perfect solution for both large and small window expanses, and can also be used as a stylish room divider system. 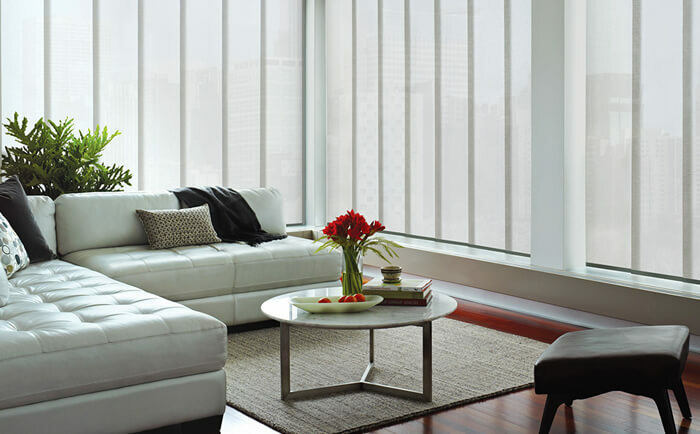 The revolutionary hardware system, combined with a fashion forward fabric collection, dress any window in style. 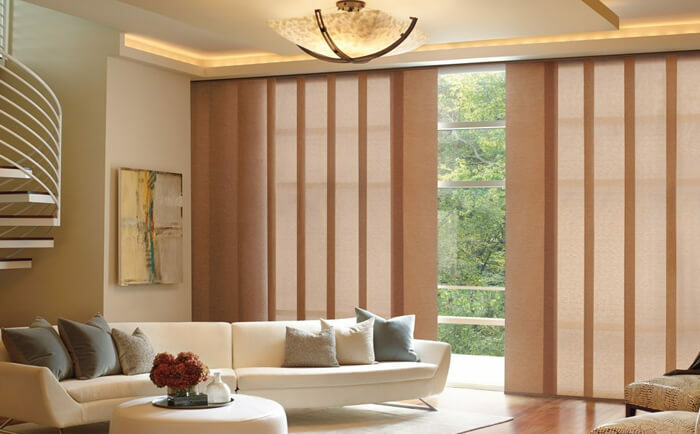 View some of our Hunter Douglas Gallery Showroom Window Panels.